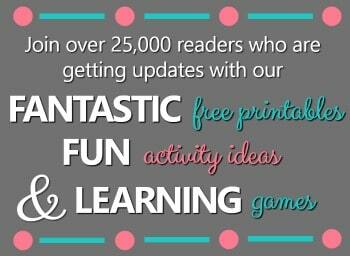 This week I’m excited to be joining some great blogging friends to bring you an awesome collection of winter play ideas. In the past we’ve shared fall, Halloween, and Christmas activities, and this time we’re working on giving you some fun ideas to try on these cold winter days. This series is hosted by Nothing if Not Intentional, Fun-A-Day!, Play Trains!, My Nearest and Dearest, Buggy and Buddy and our site. We don’t have snow, but we like to pretend we do in as many ways as possible. 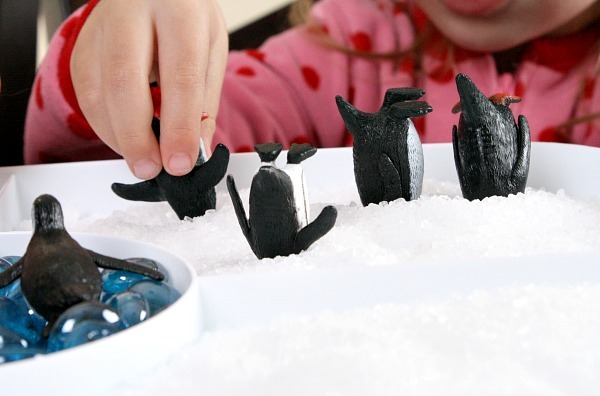 This simple penguin sensory play salt tray was so easy to put together, and the kids loved making it “snow” for the penguins. Container-ours is the base of a cake carrier that we have, but whatever you have will work just fine. After a while Lovey couldn’t stand it anymore, and she had to rescue them. Salt trays can be very soothing. 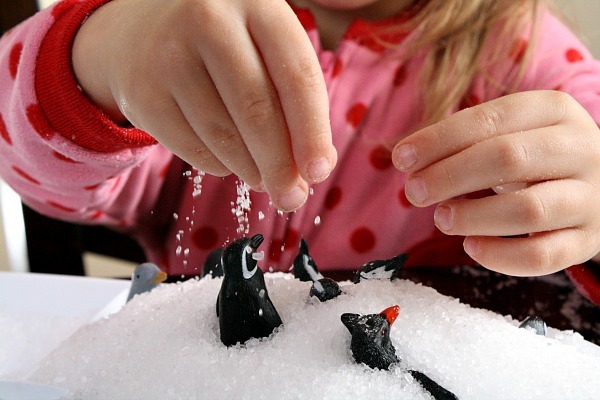 Both of the girls sat for a long time letting the salt flow through their hands so that it could “snow” on the penguins. Remember to grab some penguin books to read along with playtime. 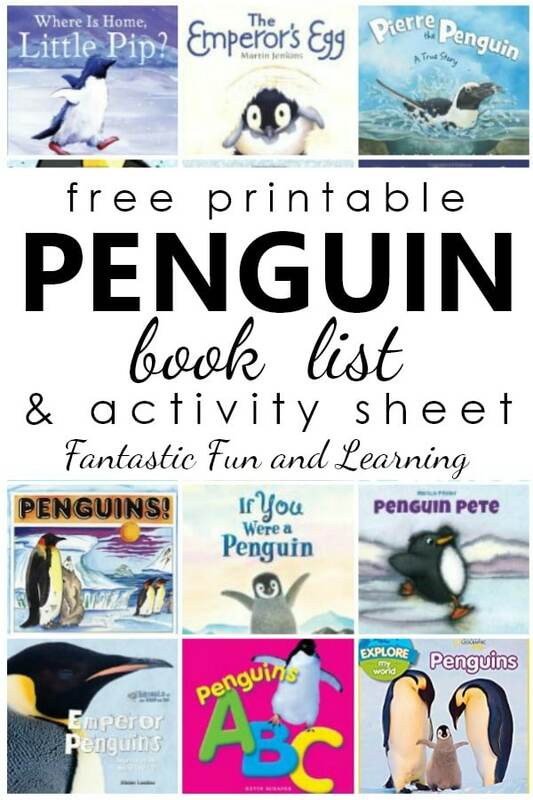 Our penguin book list includes ficton and nonfiction book suggestions, plus a free printable with the book list and a writing activity sheet. 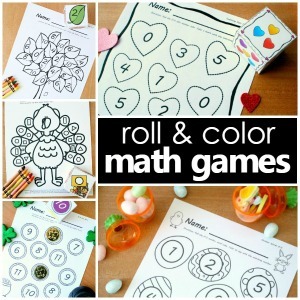 Visit the other sites participating in the Winter Play Days series to find more fun ways to play. 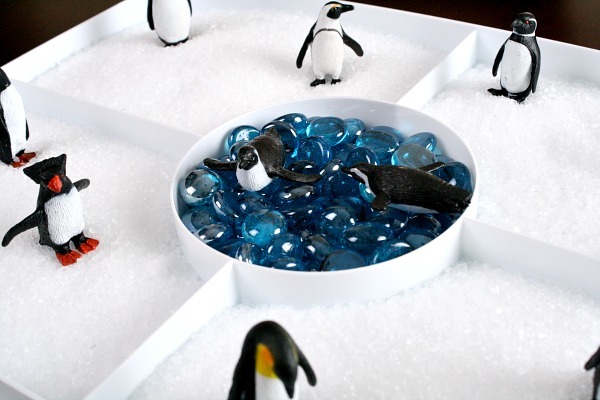 Love your penguin salt tray! 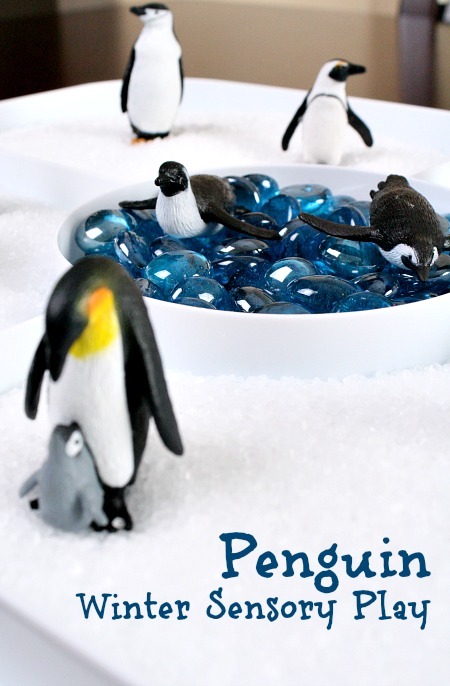 I can just see kids spending a lot of time making it “snow” on the penguins. Pinning! 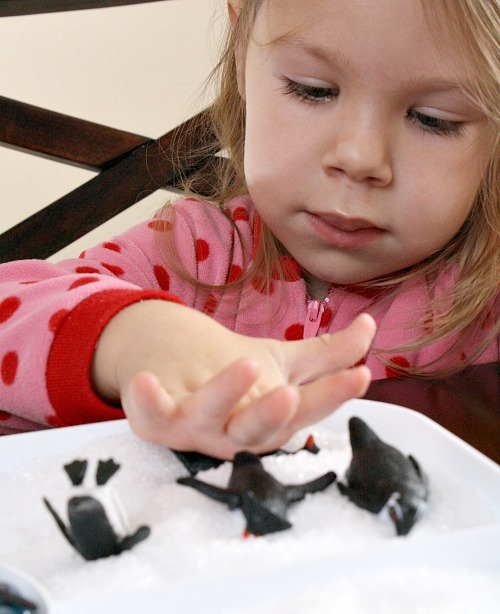 We love playing with our penguins toob! I would have never thought to play with epsom salt! I think I have some stashed away somewhere- this will be our next penguin play idea! Thanks for the idea! Would you believe me if I told you we’ve never played with Espom salt? So cool, Shaunna! I love the way you used it as a snow substitute! What a fun sensory and small world play set up, Shaunna! I am going to have to try this in preschool soon . . . maybe next week! 🙂 I also adore how Tinker put the penguins to bed . . . I’m still cracking up. Awww, this is so fun! 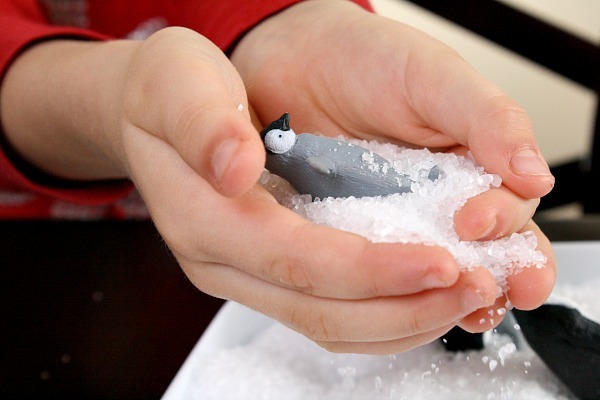 I love the idea of using salt as a play medium. We’ll have to try it out soon! I love this! Between the gems and the salt, it’s so sparkly and pretty, and it looks like so much fun. Hooray for Winter Play Days!